Still coming from my dossier prepared on Ghana during my recent five weeks holiday spent in the country of my birth, let me share with public readers the recorded insalubrious state of laying pipes in Accra, the capital city of Ghana. This is not the first time that I had come across such an unsightly, unprofessional and unsanitary way of laying pipes to supply residential homes in Accra with pipe borne water. 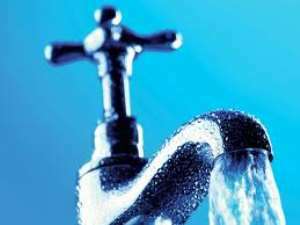 However, I can no longer stomach the nonsense and the danger about the whole unprofessional methods adopted by certain unscrupulous plumbers as may be sanctioned by the Ghana Water and Sewerage Corporation (GWSC) to supplying pipe borne water to residential homes in certain suburbs of Accra. Subsequently, I decided to record a video of such absolutely unsanitary, if not illegal and unprofessional, way of laying pipes for the supply of potable water or treated drinking water to homes, when I came across one at Mallam Junction, a suburb of Accra. The pipes are laid inside gutters most of which have stagnant water full of rubbish and are smelly as could be seen from the underlying video. For what reasons are pipes laid directly in gutters (otherwise called sewers in the Whiteman’s land) carrying waste water and refuse? No matter how robust the pipe and its quality are, it can suffer wear and tear over a period of time. It can accidentally burst. When it does suffer any rupture, will the waste or dirty water in the gutter not seep through the pipe to contaminate the treated drinking water the pipe is conveying to the homes of people? Who knows the diseases and deadly bacteria the waste water will be carrying in the gutters? When the waste water gets to contaminate the potable water being carried in the pipes, will the end consumers of the water in their homes not get infected to finally suffer from various diseases, illnesses and deaths? That is the unnoticed serious consequences of the unsupervised or unprofessional way of laying pipes conveying potable water to homes in certain areas in Accra. People are paying the Ghana Water and Sewerage Corporation or whatever its current name or the water service provider is, to provide them potable water. Is it not the obligatory duty of the Ghana Water and Sewerage Corporation to ensure that their customers are provided exactly the service they have paid them for, thus clean drinking water? What, if such water is contaminated midway in its conveyance to a customer’s home as it is in the case of a pipe bursting in a gutter as seen in the video? Is it not the responsibility of the Service Provider, in this case the Ghana Water and Sewerage Corporation, to ensure that pipes outside the domain of the various houses in the public areas, are laid such that they are safe to the public and can carry water safely to the point where the house owner’s responsibility starts? Whose responsibility was it to have supervised that the pipe was not laid in the gutter but buried a few feet underground outside the gutter to avoid any likely contamination of the pipe water? In my view, it is the GWSC’s. Are they not those who connect the house owner’s pipework to their intake source? Do they not conduct inspections to ensure the pipe laid in the public domain is safe by way of conforming to any regulatory standards set by the government or the GWSC? I find the pipe laid in the gutter unsafe to convey potable water to homes. Therefore, I suggest to those in charge of superintending the safety of the public as regards providing them with potable water to redo the installation of the pipe by taking it away from the gutter. For how long are we going to always suffer preventable illnesses and deaths because of the irresponsibleness of some highly paid leaders or persons failing to do their job as may be demanded of them by the terms of their contracts or statutory regulations? I hope next time I return to Ghana on holiday, I shall not find the pipe still laid in the gutter at Mallam Junction. It is degrading for Ghana to see homes served with potable water from pipes laid in filthy gutters as the pipes risk bursting at a point in time with the water getting contaminated to cause diseases, illnesses and deaths to the consumers. Praying to see the authority responsible for the safe delivery of pipe borne water to homes do their jobs properly by reconstructing the pipe away from the gutter as seen in the video, I shall suggest to those selling by the filthily choked gutter to remove the rubbish in the gutter by where they sit. This will help clear the gutter of rubbish to facilitate the easy flow of waste water in the gutter. People should learn to be neat; and neatness is not only about bathing and putting on elegant clothes but also, to clean and tidy up your surroundings or home. This will help prevent us from attracting preventable diseases and succumbing to premature deaths. With dirty gutters of stagnant water and refuse around, a conducive breeding environment for mosquitoes will have been created. Mosquito bites infect us with malaria, and malaria is known to be the number one killer of people in Africa. Why cannot we help ourselves by clearing away the things that enable mosquitos to breed to cause us malaria? The last time I heard, the services of sanitary inspectors were going to be re-introduced in Ghana. If there are currently sanitary inspectors in Ghana, what are they doing to get the choked gutters cleared of their rubbish, or that is not part of their job? Is it their job to ensure no pipes supplying treated drinking water to homes are laid in gutters? Finally, may I ask if in Ghana we have any regulatory standards that our projects must conform to? If so, is it a standard in Ghana for pipes supplying potable water to be laid directly in open gutters with all the attendant risks to those consuming the water in their homes? It is my fervent hope that the GWSC will not hesitate to cause the removal of all pipelines from open/covered gutters to avoid the possible contamination of the treated drinking water being carried to homes by the pipes to cause illnesses to people. This author has authored 1732 publications on Modern Ghana.